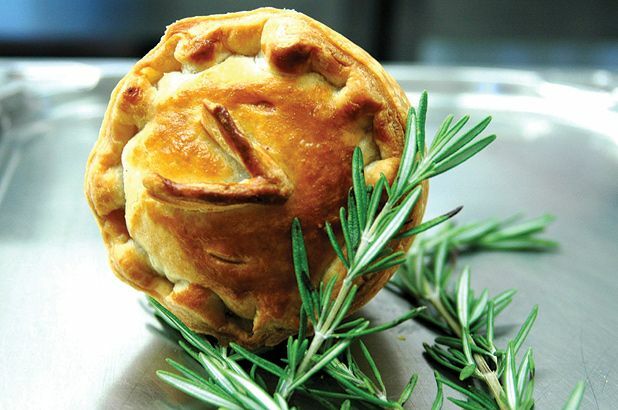 Nicki Holmyard looks at the different types of pastry used by the makers of Scotland’s famous savoury pies. Look in the window of any good Scots baker and you will see a variety of tasty Scotch pies and Forfar bridies, alongside newer interlopers such as venison, curry, pork and haggis pies. They are all part of a rich tradition that has seen Scotland become famous for the quality of its savoury baking. Even the Aberdeen Butterie, the ﬂat, ﬂaky, breakfast pastry that is the Scots’ equivalent of the croissant, has a distinct savoury taste. The Scotch Pie, the staple of the football terrace, is high quality fare these days and even has its own club and a world championship in its 12th year. This is organised annually by Alan Stuart, from Stuart’s of Buckhaven. ‘These were set up to encourage bakers to source top quality ingredients – and consumers to eat more pies – in the wake of several food scares in the 1990s,’ he says. The success of any pie depends partly on the type and quality of the pastry used. These are many and varied, and each baker swears by different ﬂours, fats and mixing or rolling methods. Cold-water crust, shortcrust, puff pastry and suet crust all rely on rubbing or folding fat into ﬂour, adding water and then rolling out, whereas with hot-water crust, the fat is boiled with water, then poured into the ﬂour to make a moulding pastry. Lard is traditionally used for savoury pastry, and vegetable shortening for vegetarian pies. Forfar bridies are made with shortcrust pastry, while traditional bridies – such as those made famous by Stephens Bakery in Dunfermline – use puff pastry. For his Scotch pies, Alan Stuart uses a thin boiled pastry made from three different ﬂours, which is heat-formed into pie shapes, then left to dry before ﬁlling to give it a crisp texture. Bernard Alessi, of Simple Simon Pies, makes up a demi puff pastry, which is half the thickness of traditional puff. He rolls it into a spiral, then cuts across the layers, which allows the pastry to shed fat during the cooking process and crisp up. ‘This, together with top quality ingredients, makes the perfect pie and I can’t make them fast enough!’ he says. The hot-water crust for the Melton Mowbray-style pork pies made by Robert Corrigan, of Acanthus Hand Made Pies, uses organic, unbleached ﬂour with a touch of wholemeal, and ﬁne Italian lard. ‘This doesn’t have a strong smell and its low melting temperature doesn’t leave a greasy taste in the mouth, giving it excellent eating qualities,’ he says. 145 year-old chain of traditional bakers shops across Fife, selling steak bridies, morning rolls and cakes. Bakers and butchers with nearly 20 outlets around Fife.